The Great Kimball Pasta Cook-off! 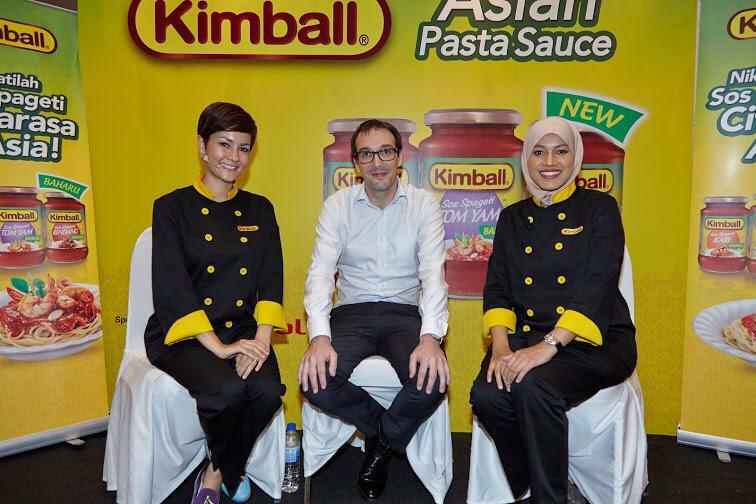 Kimball, a trusted brand in Malaysian homes, has recently launched their new Asian Pasta Sauce in the market. 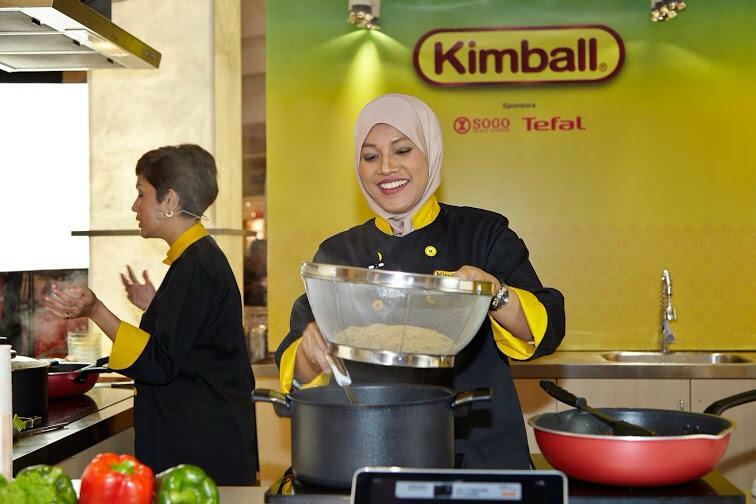 No stranger to the consumer industry, Kimball has been producing many great tasting sauces under the group for the Malaysian palates for as long as I can remember while I was growing up. Established in 1970s, Kimball has garnered many fans who enjoy savoring their range of affordable and delicious sauces. 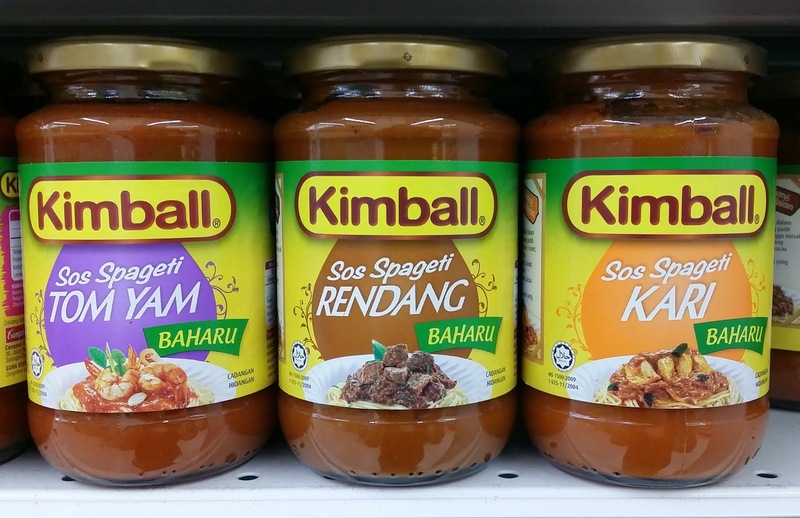 In addition to their line of current pasta sauces, Kimball has now added 3 new Asian Pasta Sauce to cater to the local taste bud of Malaysians. 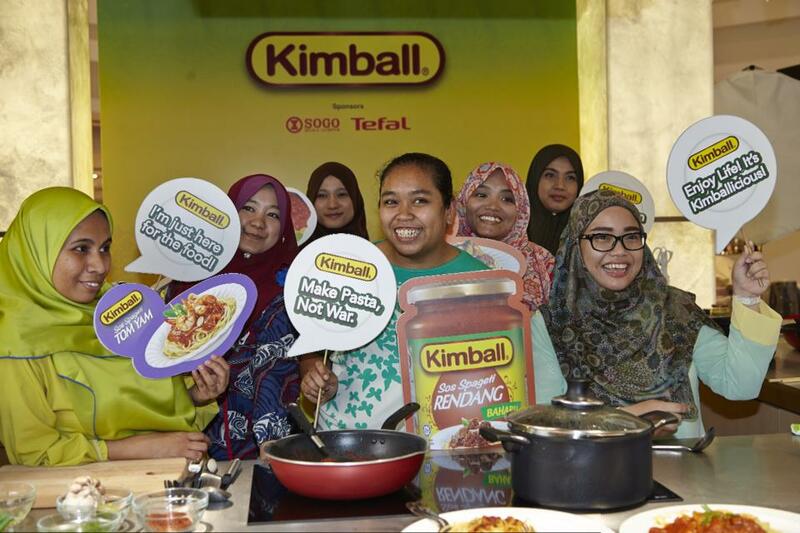 Together with sponsors Tefal and Sogo, Kimball launched the new Asian Pasta Sauce with The Great Pasta Cook-off at KL Sogo on March 26, 2015. The event was attended by members of the media and bloggers together with celebrities and guests. 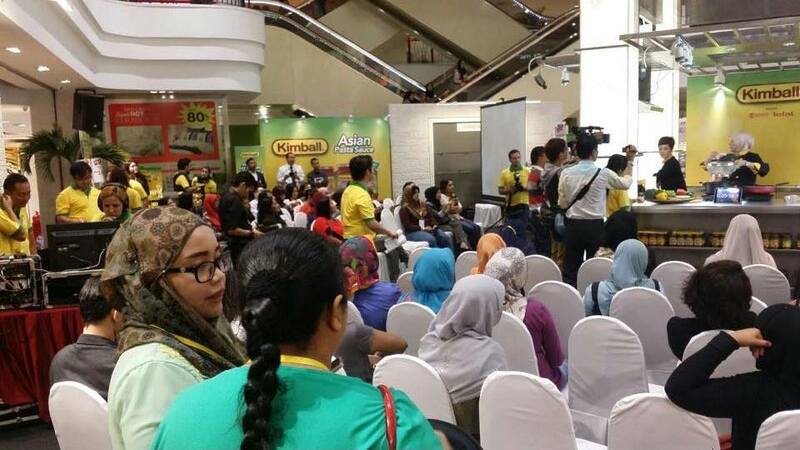 The event highlighted the problems faced by many wives and mothers in preparing a home cook meal for their family. Being a mother myself and also juggling a career, it is indeed tough to whip up a home cook meal at times. After talking to several mothers and wives, time seemed to be the main issue whiles others also said that they are always looking for varieties when it comes to preparing meals for the family. And that is where Kimball comes in with three new Asian pasta sauce. We do love pasta and many Malaysians cook pasta as often as they could for their family. It’s a hearty noodle dish that many will enjoy. However, cooking a good pasta sauce takes time to produce its delicious flavours. 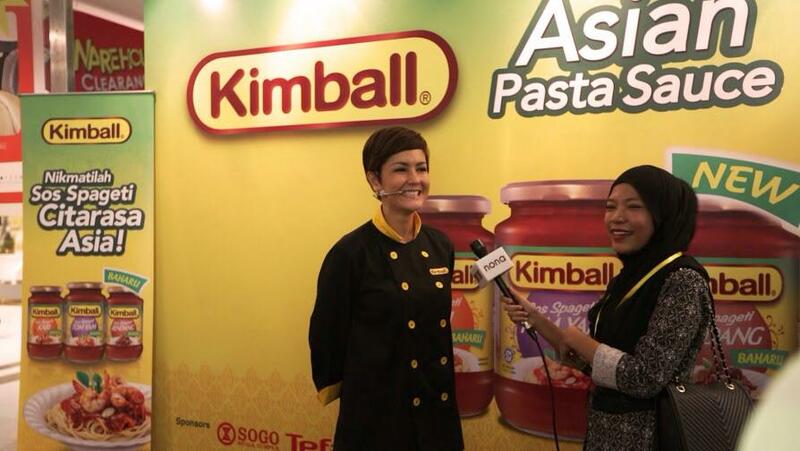 Kimball is introducing a new range of tomato based pasta sauce with an Asian twist. Not only does it save time for many mothers and wives who cooks for their family, the sauces also gives varieties of flavours. 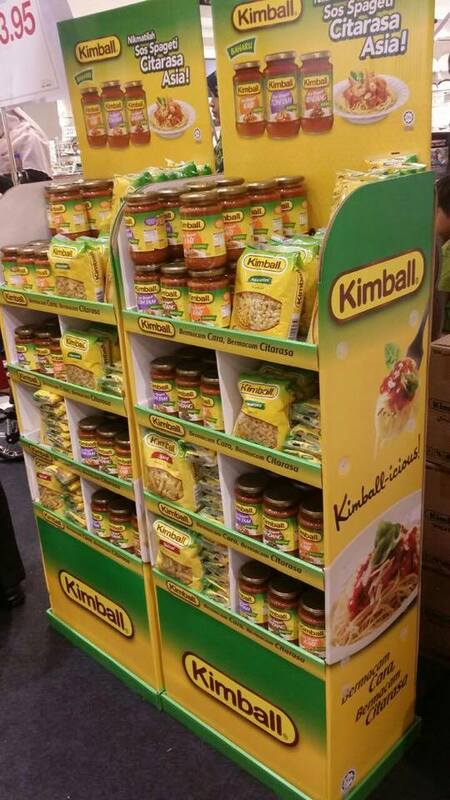 Kimball’s new range of Asian pasta sauce is inspired by Malaysians’ favorite dishes of spicy Tom Yum, Rendang and Curry. We love our spices and we enjoy bold flavours of savory, sweet, spicy and sour flavours. 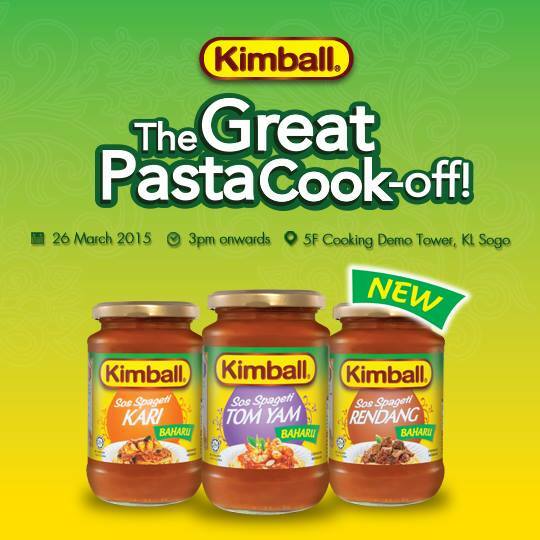 Hence Kimball’s Asian pasta sauces are perfect to jazz up the classic pasta sauce with local flavours of our Malaysian classics! A botol of 350gm sauce retails at RM4.95 and is already available in the market. 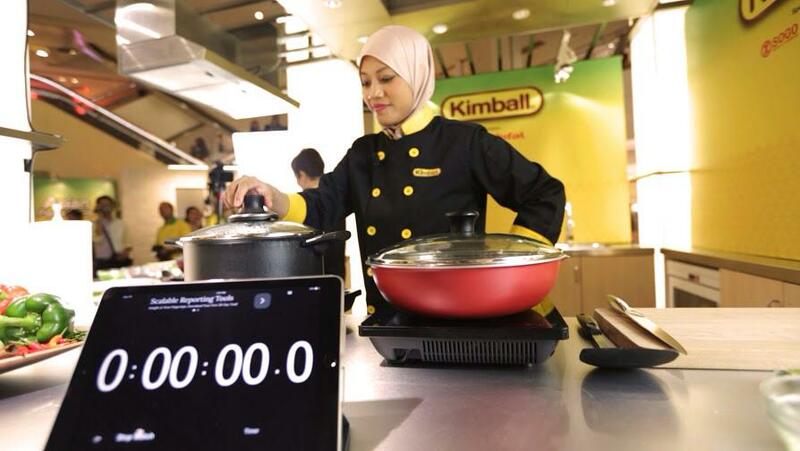 The Celebrity Cook Off between actress & producer Yasmin Hani and MasterChef Malaysia Season 1 Ezani Farhana took off shortly and it was a battle between cooking the conventional way and the Kimball sauce way. Yasmin cooked her Tom Yum Spaghetti from scratch while Ezani cooked her pasta using Kimball Sos Spageti Tom Yum. While both Yasmin and Ezani were all smiles, it was certainly serious when it comes to the cook off! Ezani took about 7 minutes while Yasmin took about 14 minutes plus to cook the pasta. Of course Yasmin had a helper with cutting all the ingredients so it was actually more than just 14 mins to cook the dish. It was without a doubt that an easier option was using Kimball Sos Spageti Tom Yum as it reduces time. Cooking with Kimball pasta sauce was as easy as 1,2,3 as one needs only to add in some diced onions, minced meat or seafood to the sauce. Cook up the pasta and serve once the meat or seafood is cooked in the pasta sauce. Many guests present sampled the dishes and it was concluded that the Kimball new Asian pasta sauce is as good as cooking from scratch. Now one should have no excuse to whip up a pasta dish in few minutes! At the point when the day begins at the lady of the hour's or prep's home. !